Dr. Martin Luther King, Jr., was a Baptist minister and passion ate fighter for civil rights through nonviolent action. He was felled by an assassin’s bullet in 1968. This quote from Dr. Martin Luther King, Jr., reminds me of a story about the Buddha. It seems that a man had heard of the reputation that Buddha had for being peaceful and nonviolent regardless of what he encountered in life. This man decided to test the divine one, and he traveled a long distance to be in his presence. For three days he was rude and obnoxious to the Bud dha. He criticized and found fault with everything the Buddha said or did. He verbally abused the Buddha, attempting to get him to react angrily. Yet the Buddha never faltered. Each time he responded with love and kindness. Finally the man could take it no longer. “How could you be so peaceful and kind when all I’ve ever said to you was antagonistic?” he asked. The Buddha’s response was in the form of a question to the man. “If someone offers you a gift, and you do not accept that gift, to whom does the gift belong?” the Buddha replied. The man had his answer. If someone offers you a gift of anger or hostility and you do not accept it, then it still belongs to the giver. Why choose to be upset or angry over something that does not belong to you? This is the essence of the message that Dr. Martin Luther King offers us. 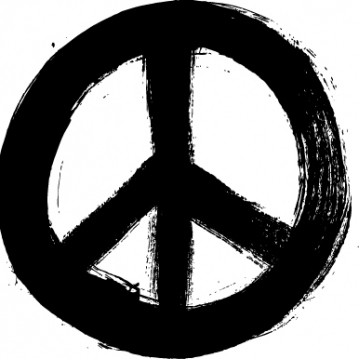 When you choose the nonviolent approach your first impact will be on yourself. You become less inclined to accept the gifts of ill will that come your way. You will simply “pass” when others try to seduce you into arguments or conflict of any kind. Your initial objective will not be to change anyone, but rather to deliberately and lovingly work on being an instrument of grace and indulgence. The more peaceful you become within yourself, the less you will be affected by the enmity or disaffection of others. When Dr. King speaks of something happening to the heart and soul of those who are committed to nonviolence, he is not speaking exclusively of the civil rights movement or class warfare. He is telling us that if we can commit ourselves to a peaceful heart we will behave more courageously and with a strength that we have never known before. As those around us attempt to draw us into their battles, our commitment to being peaceful allows us to have a different dialogue with ourselves before we even con sider accepting the “gifts” being offered. Our affirmation is, “I will choose peace rather than this”. After a series of these dia logues, we react peacefully automatically. My wife, Marcelene, is a very peaceful, meditative woman, and always has been in the two plus decades that we have been together. In our earliest years I would attempt to draw her into arguments with my rather loud logic, but she simply didn’t play the relationship game that way. Essentially she was telling me with her behavior, “I am not interested in fighting with you”; and she displayed this by showing me a peaceful countenance and not joining in my attempts to argue. Before long I realized that I was not going to bulldoze this woman into thinking my way. I real ized that it is very difficult to pick a fight with someone who has no interest in fighting. She wasn’t trying to change me with her behavior. She was responding peacefully from her commitment to nonviolent behavior. As you read and reread these beautiful words of Dr. King, remind yourself that your objective in choosing to be a nonvio lent person is not to change anyone or to fix the world. Your objective is to give yourself the self-respect that you deserve as a divine creation of God, and to remove the pain associated with conflict and “dis-ease.” You will then begin to effortlessly radiate that strength of self-respect and peace, and impact those around you simply by your presence. It was said of Buddha and Jesus Christ that just their presence in a village, and nothing more, would raise the consciousness of those around them. You have probably experienced this when you were around highly evolved peaceful people. They seem to radiate pheromones of love that make you feel peaceful and more self-assured. It is my experience that we can literally change the energy of any environment by making the decision to implement an affirmation such as this one from A Course in Miracles. 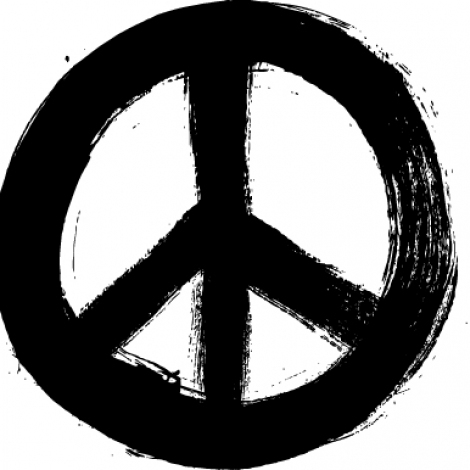 “I will be peace ful and nonviolent regardless of the offerings directed at me? I have practiced sending out nonviolent pheromones of energy in many situations where I used to think I had no power whatsoever. In grocery stores, when I hear or see parents who are being abusive toward a child, I literally move into the energy field and allow my peaceful loving energy to impact the field. It sounds crazy, but it always seems to work, and as Dr. King puts it so eloquently: “It reaches the opponent and so stirs his [and her] conscience that reconciliation becomes a reality.?" When children are the ones being abusive and wanting to argue, let them see a real live example of a person who is unwilling to be so engaged. In your relationships with family or other adults, let them see a heart and soul first and foremost who is at peace. It is always a choice to participate in malevolence or benevolence, even if you feel you are being baited. Recall the words of the Buddha and the gift, and know that the nonviolence that Dr. King preached and lived is an example that applies to each of our lives, every day. • Catch yourself before reacting to violence of any kind with more violence, and vow to be an instrument of peace, as all our spiritual teachers have encouraged us to be. • Work on yourself each day to bring a more peaceful stance into your life. Take time to meditate, practice yoga, read poetry go for solitary walks, play with children and animals, or do anything that will give you a feeling of loving and being loved. • Make a specific effort to remove violent input from your life. The newspapers and news reports that attempt to titillate your curiosity about hostility and malignant hatred by filling you with endless reports take you away from your peace. Turn away from these sources, and each time you hear these reports, remember that for every act of inhumanity to man, there are a thousand acts of kindness. Stress Reduction Is about RealignmentRobot Brewing Co.